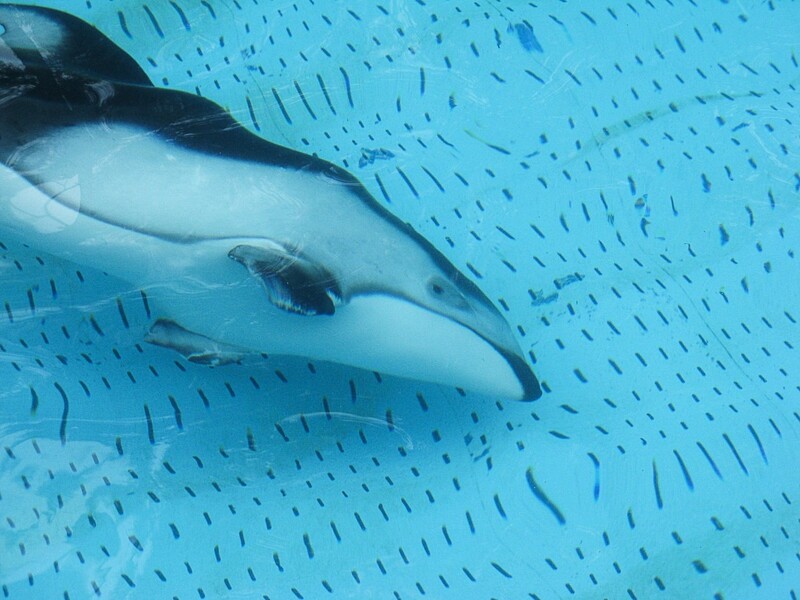 Pacific white-sided dolphins are intelligent, playful, and very social animals. They live in large groups and often approach boats. They are attractive dolphins that are very interesting to observe in the wild. Unfortunately, they are kept in captivity in aquariums and marine parks. Sometimes this is necessary because an animal has been injured. The rescued animal may no longer be able to survive in the wild, even after it has been treated. In my opinion, this is the only justification for keeping a dolphin in captivity. 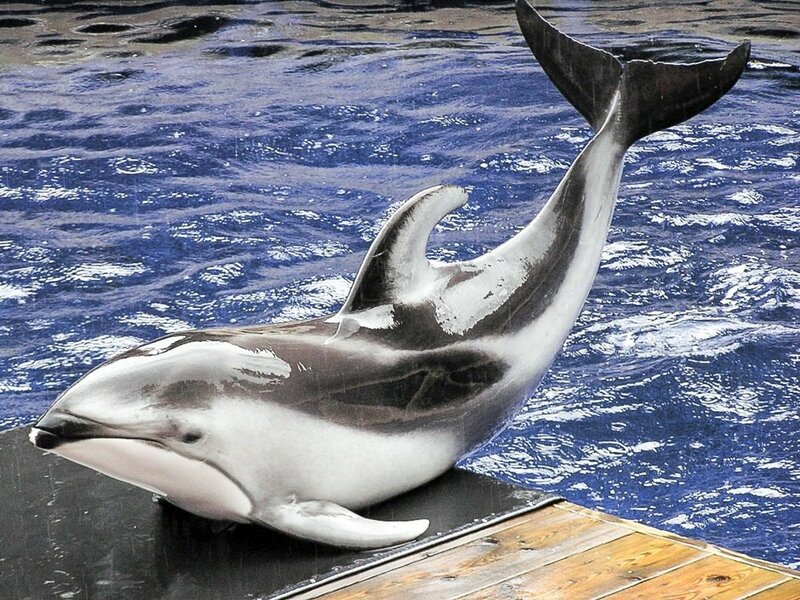 This article tells the story of both the wild dolphins and the two rescued Pacific white-sided dolphins at the Vancouver Aquarium in British Columbia. Helen and Hana were deemed unreleasable and lived together at the aquarium for ten years. In 2015, a sudden and tragic illness claimed the life of Hana, despite some very impressive attempts to keep her alive. Helen lived alone for a while but eventually gained a new companion. 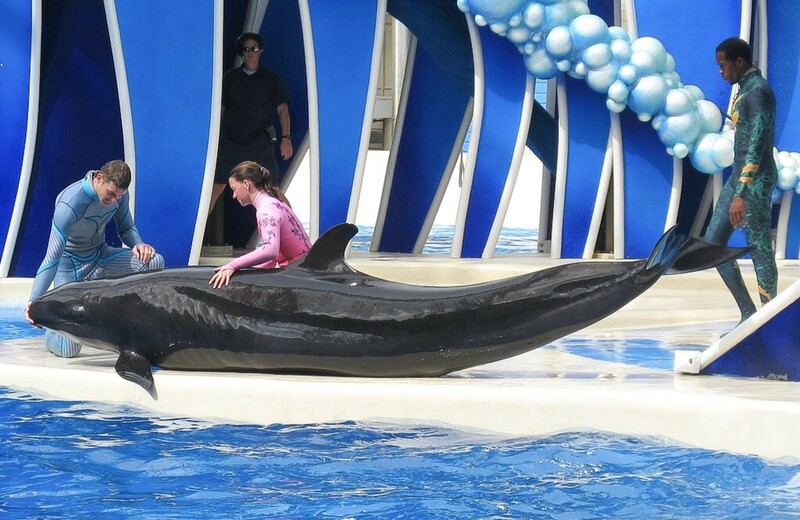 Chester was a rescued false killer whale who was also deemed unreleasable. 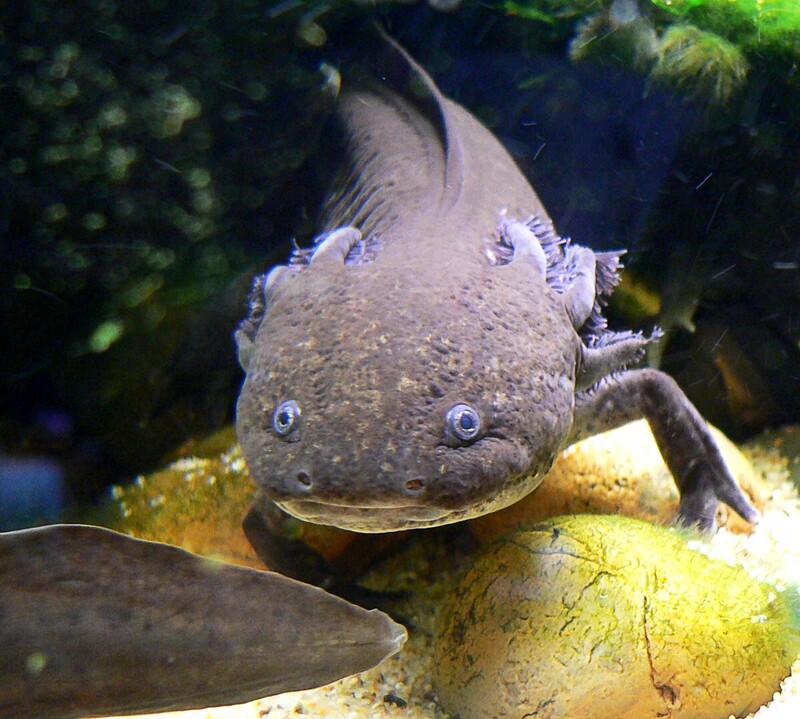 He and Helen occupied the same tank for two years and seemed to develop a friendship. Sadly, Chester died in late 2017, leaving Helen alone again. 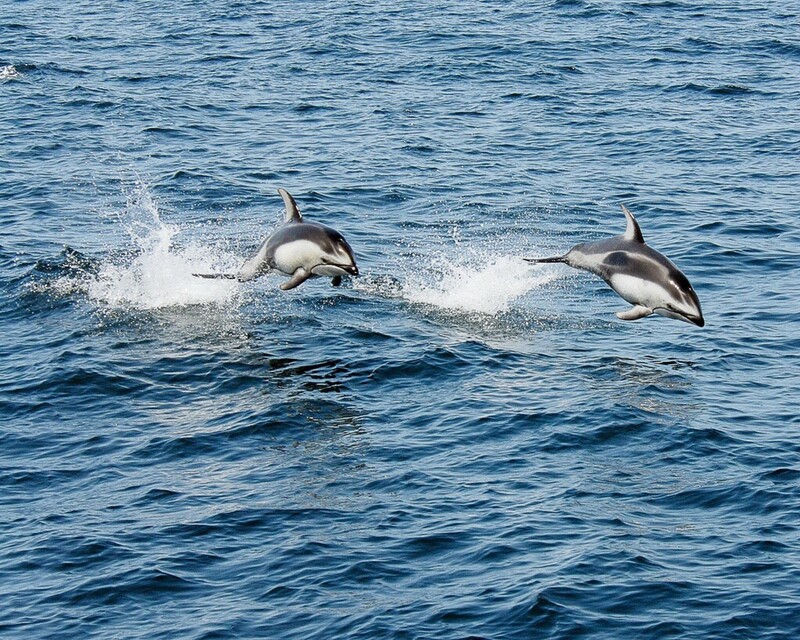 The scientific name of the Pacific white-sided dolphin is Lagenorhynchus obliquidens. Like other dolphins, porpoises, and whales, it belongs to the order Cetacea. The animals in this order are often referred to as cetaceans. Pacific white-sided dolphins live in the northern part of the Pacific Ocean. Although their exact colouration varies, in general the animals have a black back, grey sides with a white or light grey stripe, and a white throat and belly. The dolphin's lips are black. 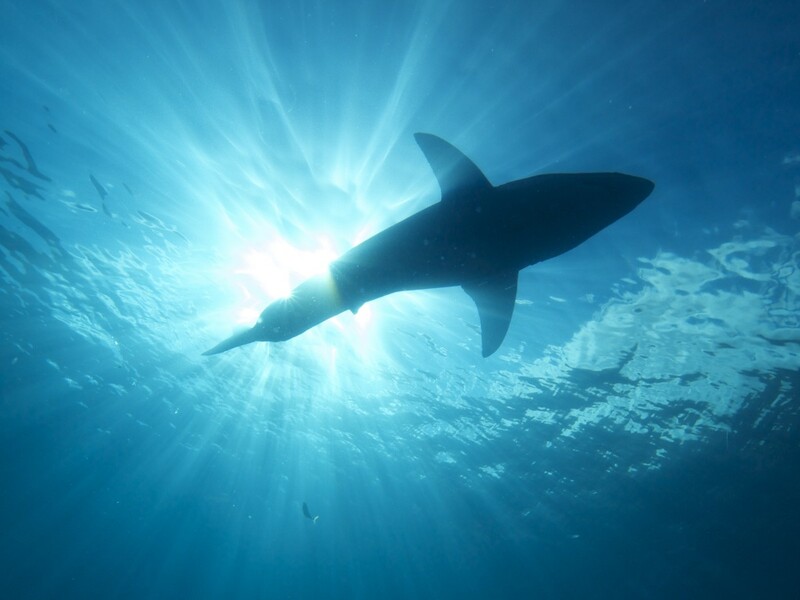 The dorsal fin on the animal's back has a strong backwards curve and sometimes looks hooked. The fin is black on its upper portion and grey on the lower portion. The animal also has a pectoral fin on each side of its body. Some people prefer to call the pectoral fin a flipper, since unlike the fin of a fish it contains bones. The flipper bones resemble a short version of the bones in our upper arm, forearm, and fingers. This reminds us that whales are mammals, like us, and that their distant ancestors were land animals. The dolphin's tail is made of two lobes called flukes. Pacific white-sided dolphins live in large groups that generally contain from ten to a hundred animals. They have also been observed in "supergroups", which may contain thousands of animals. They are sometimes seen in the company of other dolphin species or of whales. The dolphins frequently approach boats and ride on the bow waves. They are acrobatic and playful animals that often leap out of the water and do somersaults. Like other cetaceans, the dolphins breathe through a blowhole on top of their head and need to come to the surface periodically to obtain oxygen. They can stay submerged for up to six minutes. They communicate with each other by whistles as well as by touch. Evidence suggests that each animal has its own signature whistle. The dolphins feed on small fish and squid, which they find by echolocation. During this process, a dolphin emits high pitched sounds. The sound waves bounce off objects and return to the dolphin, giving them an impressive amount of information about their environment. This information includes the location of an object as well as its shape, density, speed, and distance. The dolphins are often seen herding fish as they hunt. Pacific white-sided dolphins reach sexual maturity between the ages of seven and ten. The gestation period is twelve months. There seems to be a three to five year interval between births. 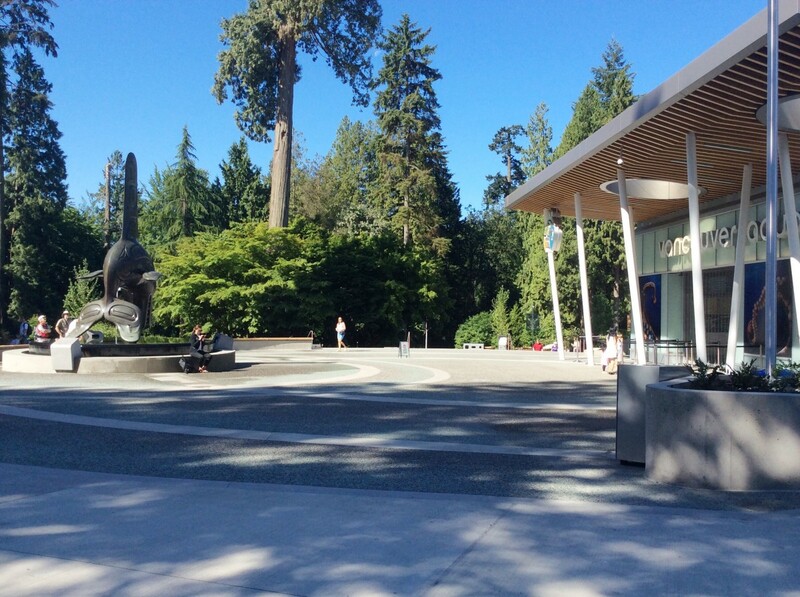 The Vancouver Aquarium is located in Stanley Park, which is located near downtown Vancouver. The aquarium is a non-profit organization dedicated to education, research, and conservation. It actively participates in all these areas. It's a popular institution for schools, tourists, and local people. Like many other facilities that house marine mammals, the aquarium often faces criticism from animal rights activists for keeping intelligent and sentient beings like cetaceans in captivity. The aquarium has evolved over the years, however. Since 1996, it has no longer captured wild cetaceans. Any cetaceans that it has obtained have been either rescued animals that lack the skills to survive in the wild or animals born in other facilities. Some of the rescued animals have come from the aquarium's Marine Mammal Rescue Centre, which helps local animals in distress and releases them back into the wild whenever possible. Another factor that draws the ire of animal rights activists is the death of a cetacean from anything other than old age. There have been a number of these deaths at the aquarium in recent years. The survival of whale and dolphin calves has been a particular problem. I have no doubt that the aquarium staff care deeply for their charges, as I've often observed. It's unnaturał for a marine mammal to spend its life in a restricted area that gives them little to do, however. It's hard to imagine that this doesn't affect their health and resilience. Spinnaker, Hana, and Helen lived together at the Vancouver Aquarium. All three dolphins were rescued by a Japanese institution after becoming entangled in fishing nets. They were declared unreleasable due to their injuries. The pectoral fins on the sides of Helen's body were partially amputated as a result of her entanglement in the net. Rumours persist that the dolphins were actually injured in the annual Taiji dolphin drive, a horrible event in which dolphins are caught for food and trapped for dolphinaria. The aquarium adamantly denies that this is true and say that Helen was rescued thousands of miles away from Taiji. 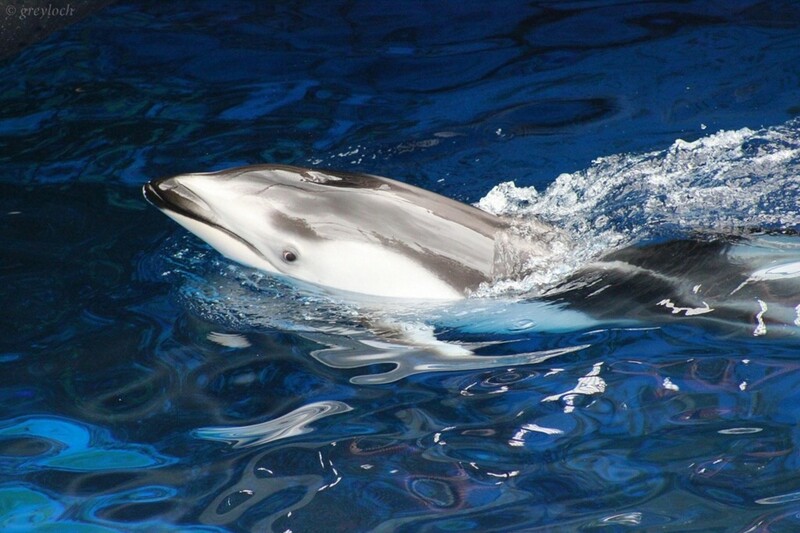 Spinnaker, the only male in the group, died in 2012 after a lengthy illness. He was about twenty-five when he died. Hana lived for twenty-one years. Helen is approximately thirty years old. The maximum lifespan of Pacific white-sided dolphins is thought to be somewhere in the forties. Helen and Hana performed in shows, as shown in the video below. Like the aquarium's policy on obtaining animals, the cetacean shows have evolved over the years. The animals no longer perform showy and unnatural tricks. The behaviours that they do exhibit during a show are ones that they perform in the wild. On Monday, May 18th, 2015, staff members noticed that Hana was behaving abnormally. The aquarium's head veterinarian was contacted. With the assistance of "one of the world's top dolphin radiologists", the vet diagnosed gastrointestinal distention and inflammation. This is a condition that is known to progress rapidly and to be life threatening. As Hana's condition worsened, the vet gathered together dolphin medical experts from around North America. They decided that the only treatment that had any hope of saving Hana's life was to perform the world's first intestinal surgery on a Pacific white-sided dolphin under general anesthesia. Against all odds, Hana survived the surgery, which was performed on the Thursday evening of the week in which her illness was discovered. By Saturday morning she was showing some signs of improvement. Sadly, on Sunday morning her condition began to deteriorate. She died on Sunday evening. The cause of Hana's death was reported to be a gastrointestinal illness. Helen never showed signs of the disorder. A post mortem exam showed that the passageway where Hana's small intestine joined her large intestine was unusually narrow, which is thought to have contributed to her problem. Shortly after Hana's death, I visited the aquarium and observed Helen. Every time she was at the water's surface in the shallow pool, she repeatedly lifted her head out of the water with a jerk while opening and closing her mouth. Her behaviour suggested that she had just regurgitated food. Each time I returned to Helen's tank after looking at other animals she was still performing this odd behaviour. It looked very much like the repetitive actions that some captive animals perform under stress. Regurgitation and playing with the regurgitated food is a known indicator of boredom in captive cetaceans. Interestingly, I discovered a YouTube video showing the same behaviour taking place while Hana was alive. Both dolphins were in the small pool, even though the big tank was (presumably) available to them. I find it so sad that even then the dolphins were behaving in a way that suggested that they were bored. The video is shown below. I think that the aquarium is a wonderful educational resource. There is far more to see there than just marine mammals. I also applaud the aquarium's rescue and research efforts. I think that much more needs to be done to support the mammals that live at the aquarium, however. They need to have more space, more enrichment with respect to activities, and a better life. How Could the Problem of Cetaceans in Captivity Be Solved? The problem of eliminating the keeping of cetaceans in captivity or of improving their lives is not as easy as it sounds. The following methods have been suggested with respect to the Vancouver Aquarium's cetacean population. Attrition: Some people have suggested that the aquarium's cetacean population should be removed by attrition. According to this plan, after each animal dies, no replacement would be brought into the aquarium. The problem with this idea is that the last animals would probably have an unhappy existence, since they would have no company. Cetaceans are social animals. Transfer: Another suggestion has been to transfer whales and dolphins to larger facilities which have more animals. This would solve the problem of the lonely lives led by the last Vancouver animals. One possible problem is that in larger captive populations more breeding would occur, potentially increasing the size of the captive population. Still, the transfer could improve the lives of the Vancouver Aquarium cetaceans. Enhanced Habitat: The aquarium's current cetacean habitats could be expanded and enhanced. Getting permission to expand further into Stanley Park—a major and much loved tourist attraction—is always difficult, however. In addition, some people worry that if the aquarium expands it will obtain more cetaceans. This is another controversial topic. From one perspective, obtaining more Pacific white-sided dolphins would be good, since it would create a more natural community for Helen. The dolphins would need much more space to enable them to live a reasonably happy life, however. 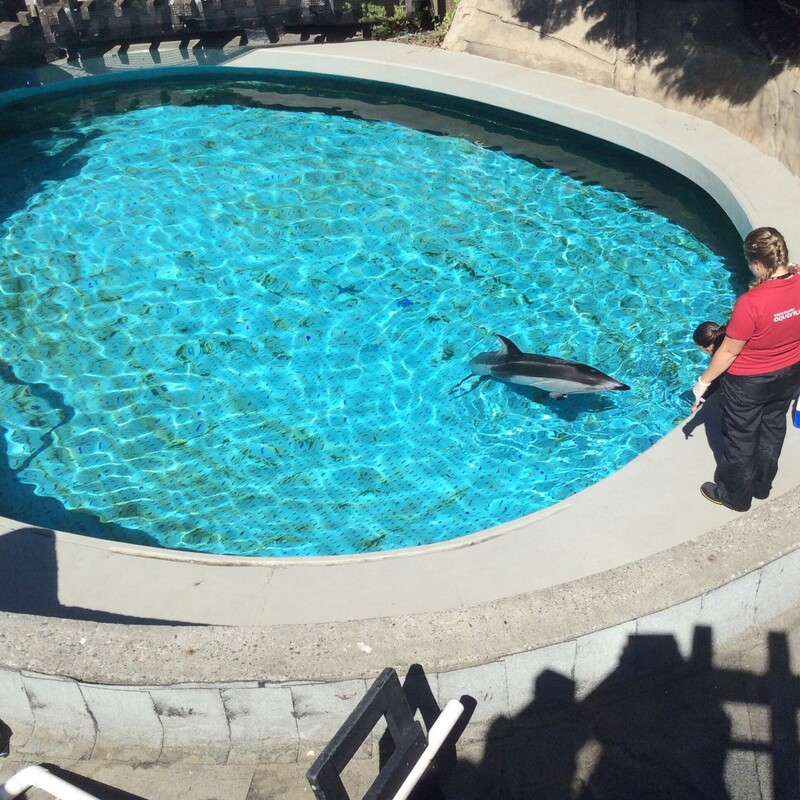 Rehabilitation and Release: It's been proposed that the cetaceans presently at the aquarium be released into the wild. This is not really a viable option. It would be very difficult to teach a cetacean that has been raised in captivity how to survive in the wild, even if we knew all the things that the animal needed to learn. The Marine Mammal Rescue Centre does rehabilitate and release cetaceans and other marine mammals, but all of these animals were rescued as adults or are able to survive in the wild. While it's true that Helen was rescued as an adult, she was deemed unreleasable in Japan due to her damaged pectoral fins. Other ideas are being investigated to help rescued cetaceans and the problem of keeping them in captivity. One is the use of birth control drugs for captive cetaceans. Another is the creation of large sea pens to protect rescued animals and let them live a somewhat normal life. In July 2014, the aquarium's Marine Mammal Rescue Centre rescued a young false killer whale (Pseudorca crassidens). He was stranded in shallow water on Chesterman Beach in Tofino, Vancouver Island, and was named Chester. He was only four to six weeks old when he was found. Chester was injured, in distress, and abandoned. After receiving intensive care, Chester recovered well. However, he lacked important survival skills that he would normally have learned from his mother and other members of his species. Fisheries and Oceans Canada (a government organization) declared that Chester was unreleasable due to his lack of skills. The Vancouver Aquarium says that false killer whales and Pacific white-sided dolphins have lived together successfully in other facilities. They decided to place Chester in Helen's habitat so that each animal would have company. The original plan was for Chester, Helen, and Hana to live together. The aquarium staff introduced the animals with caution, allowing limited interaction at first, and were prepared to separate them if there was a problem. The animals accepted each other's presence, however. Helen was introduced to Chester in July 2015. Based on my observations made during a visit to the aquarium soon after the introduction, the two animals were already reasonably comfortable with each other's presence in the same tank. They came very close together when being fed but not when they were left on their own. They were still getting to know each other, though. One of the aquarium staff said that the relationship between the two cetaceans was changing daily. It was an exciting time. I was very happy to see that even when Helen voluntarily stayed alone in the smaller tank, she seemed much happier than on my last visit. She didn't exhibit any stereotypical behaviour and even seemed to be looking at visitors with interest. Chester was treated with care after he was placed in the tank. The area right next to the windows of the underground viewing area was roped off and monitored by a staff member during my visit. This prevented Chester from being upset by actions such as people tapping on the glass. Far from being upset, he seemed to be curious about all the people watching him and posed very nicely for photographs. Helen gave a short and simplified performance during my July 2015 visit. It seemed that not much was being asked of her, which was nice to see. The performance was based on her natural behaviours. Chester already followed some instructions. 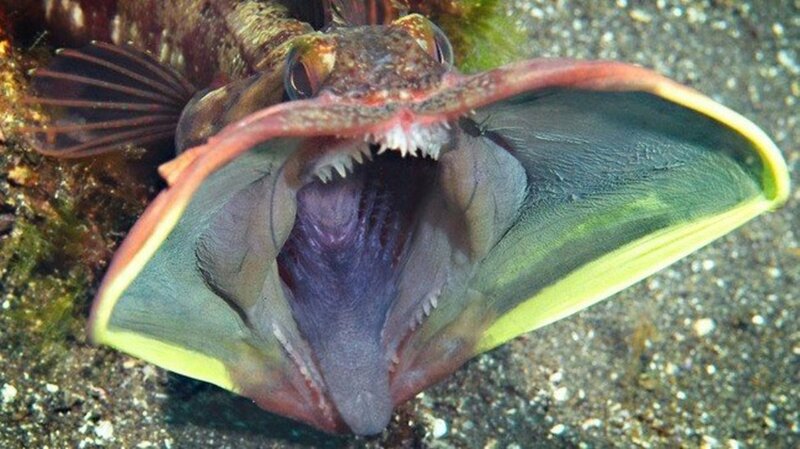 When asked to do so, he opened his mouth to get his tongue patted and teeth rubbed, turned upside down to show his undersurface, and swam to a different trainer łocated nearby. The video above was recorded in January 2016 and shows a more active performance by Helen. On a more recent visit to the aquarium, I saw that Chester had been taught a wider range of behaviours on command, although they were still natural ones. Helen and Chester eventually did more more than simply tolerate each other. They often swam beside one other, which is a sign of socialization. Their relationship seemed to be going well. I was happy that each of them had a companion. Their situation was not ideal, however. I was concerned about the amount of space that the animals would have in the future, especially when Chester was fully grown. Two animals is nowhere near a big enough community for either Helen's species or Chester's. 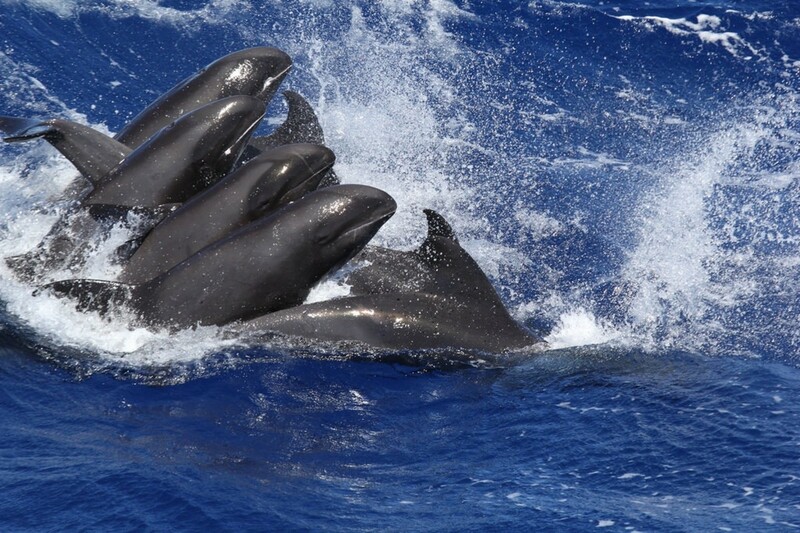 Pacific-white sided dolphins form close knit groups in the wild. As some people have said, it's impossible for even the best aquarium or marine park to give cetaceans a truly natural life. In the wild, Pacific white-sided dolphins travel unimpeded for long distances and in large groups in their search for food. 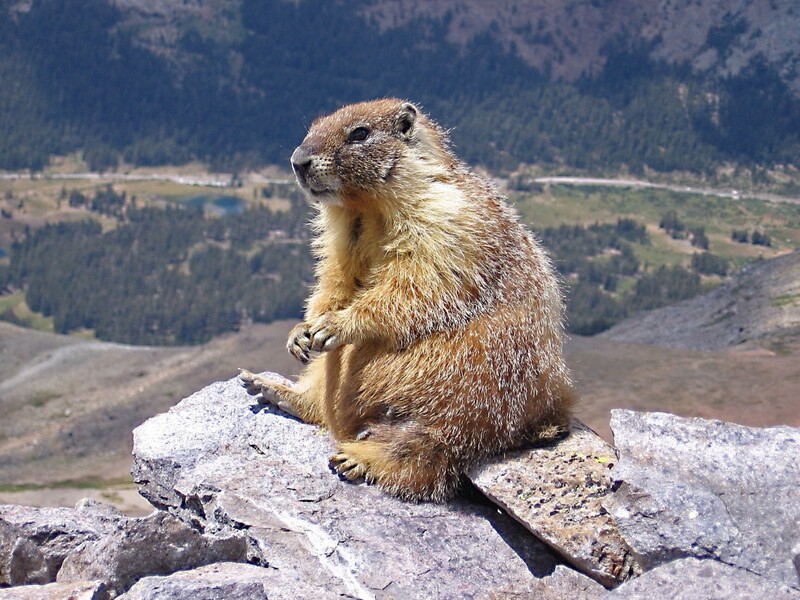 They frequently vocalize or interact with each other in some way, creating a rich social life. This situation can't be replicated in captivity. For rescued animals, though, we need to do the best that we can. Chester died in November 2017. His behaviour suddenly changed and he died within a few days of showing symptoms. A necropsy showed that he had an infection caused by a bacterium named Erysipelothrix rhusiopathiae. This probably caused his death, although this isn't known for certain. Helen received antibiotics and has shown no signs of Chester's infection. In January 2018, the aquarium announced that they would no longer house captive whales, dolphins, or porpoises, except for providing temporary care for rescued animals. They also announced that their current priority is "doing what is best" for Helen. Her partial flippers mean that she can't be released into the wild. In addition, she has lived in captivity for a long time and is considered to be a senior citizen with respect to the lifespan of her species. The aquarium has said that they would like her to have companionship, but that the situation is "complicated". At the moment, Helen is still at the aquarium and on her own in her tank. Hi, Val. Thank you very much for the comment. The intelligence of dolphins and whales is very interesting. I think that they deserve much better treatment from us than they're generally given. Alicia - As always, a fascinating and interesting hub coming from a well informed biologist. Dolphins are like "humans of the ocean", so intelligent, but much happier and playful than most of us. So sad about Hanna, but well, aquariums can only do so much to save them. Hi, Peggy. Yes, keeping animals in aquariums is definitely a conundrum. In many cases the animals should never have been brought into captivity, but in some cases the decision to bring an animal into captivity or leave it in the wild is not so easy. I hope that all aquariums are thinking about how best to care for their charges, too. It seems to me that some are only doing this due to public pressure! We visited the Vancouver Aquarium many years ago and it is a beautiful facility. I would rather see all dolphins and whales in their natural environment but realize that some of them would not thrive. It is a conundrum. Nice to know that much thought is being given this situation. Hopefully all aquariums are doing the same for the best interests of the animals in their care. Thank you so much for such a kind comment, Peg. I appreciate your visit a great deal. I hope things continue to go well for Helen and Chester, too. I'll be visiting them again soon to see how they are doing. Your empathy and concern for these creatures are endearing. Thanks for sharing the story of the dolphins. They are truly fascinating and intelligent beings. It was sad to hear of the two that passed away, made better by the joy that Helen has a new companion. I hope that all will work out for the two of them to get along in their improved surroundings. Truly a great read and write up, deserving of Hub of the Day. Hi, kalinin1158. Thanks for the visit and the comment. 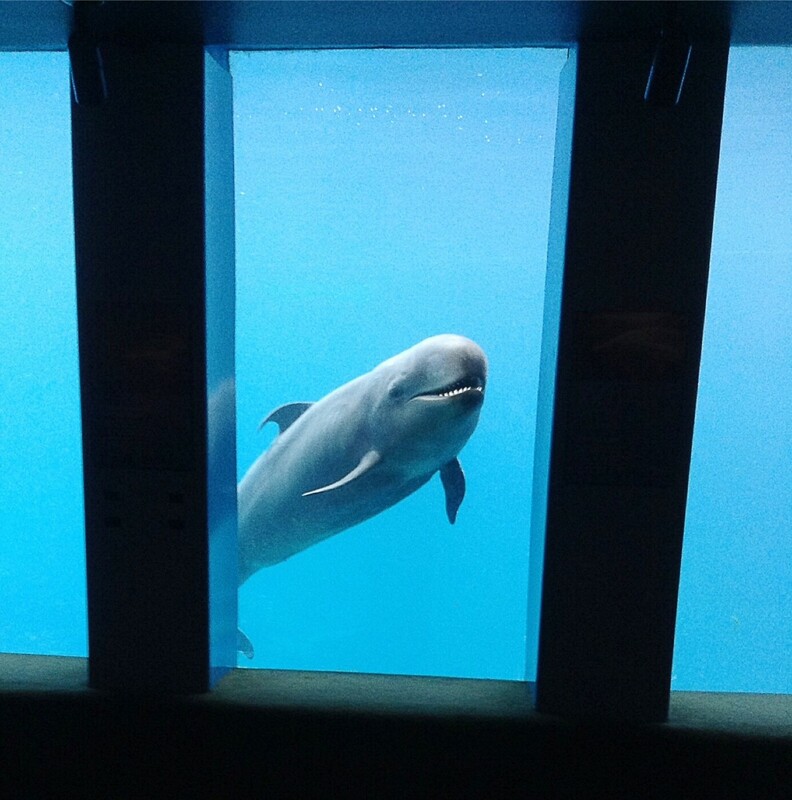 It is sad to see dolphins in captivity. They deserve to be free whenever this is possible. I love dolphins! It's really heartbreaking to see them in captivity, even when they don't seem to be abused... Enjoyed this hub very much! It pains me too, midget38. Thank you very much for the comment. You are right, Alecia. The Dolphins are extremely smart animals, and it pains me to see their populations declning. I hope man wises up. Hi, ignugent17. I hope you can visit Chester and Helen one day, too! Thanks for the comment and the votes. Thank you so much, Essie! I appreciate your kind comment and share a great deal. Your trips to the Channel Islands sound like they were wonderful! Seeing hundreds of dolphins would be awesome. I was absolutely enthralled with the story of these marvelous dolphins. The videos were perfectly set and complimentary to your story. There is nothing that can match their natural habitat; it is extreme pleasure watching them there. We were surrounded by hundreds of them on our trips to the Channel Islands. I compliment your personal touch on this awesome article. Essie ...sharing.. Thank you very much for the visit and the comment, Wendi. I think the dolphins are beautiful creatures, too! Absolutely beautiful creatures- what a fascinating hub! I agree, adevwriting. Dolphins are definitely amazing and intelligent! Thank you, ologsinquito. I appreciate your comment very much. Honestly dolphins are amazing and intelligent creatures! These dolphins are very beautiful. I hope more can be done to make Helen's life more interesting, so she's not bored and discouraged. You did this so well, with such a nice balance. I think dolphins are beautiful too, VioletteRose! Thank you very much for the comment. Dolphins are really very beautiful, thanks for sharing information about the pacific white sided dolphins. I didn't know about them before, the pictures are all wonderful! Hi, Dianna. It is exciting to see dolphins. I agree - whenever possible, dolphins certainly do deserve to be in their natural habitat. I remember how excited I was seeing my first dolphin at play in the Pacific Ocean. They are so intelligent. Thanks for bringing the captivity issue to awareness. They deserve to be in their natural habitat. Thank you for such a lovely comment, Nadine! I appreciate the comment and the vote very much. I will definitely be writing more about Chester and Helen as their story progresses. I'm very interested in their future. Oh Alicia what a great article. Congratulations on reaching the 100 mark! You are the first 100 rating I have seen. Please you MUST write soon about Chester and Helen. If they like each-other and I do hope they get along. It's really sad for Helen to be on her own. Voted Up! Thank you very much for the kind comment and the votes, ChitrangadaSharan. I appreciate your visit. Wow! What a wonderful hub. Loved watching dolphins and whales and you presented all this so beautifully. It is so sad to read about Hanna but Helen and Chester were a delightful watch. It is always so refreshing as well as entertaining to watch such amazing creatures. Thanks for sharing and voted up+++. Hi, Cynthia. Yes, Helen is in a very difficult situation. You are so right - we are making it very difficult for some animals to survive in their natural habitat. Helen was injured due to human activity. I hope life becomes better for her. Thank you very much for the visit and the comment. Thanks for another beautiful hub. 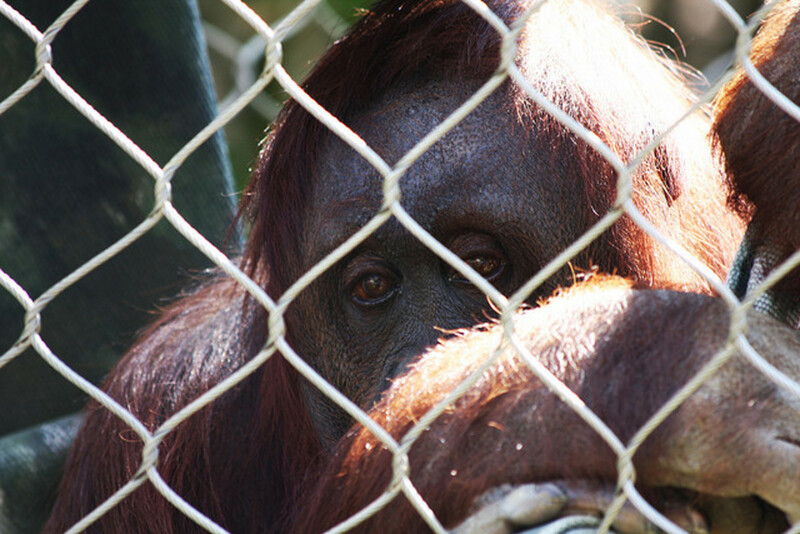 Poor Helen is between a rock and a hard place - she is miserable alone in captivity and cannot safely be released. Ideally all animals should be out in the wild leading natural lives, but we humans are making that more and more difficult. Hi, Deb. Thanks for the visit. I agree that zoos are necessary for the conservation of some species and that zoos can be a great educational tool. I think it's very important that zoos and aquariums provide as natural an environment as possible for their animals, however, and that they also provide enrichment activities for the animals. Unfortunately, this doesn't always happen. Zoos are necessary to keep animals like these living in a somewhat natural environment, so they can grow both physically and mentally. If it were not for zoos, the California Condor would have been extinct a long time ago. Many reputable zoos, like yours, carry on much necessary research for many animals, and it is an excellent learning tool for both scientists AND animals. I commend you zoo, as I know that they have many good people there that will make a difference in the life of the cetaceans in question, as well as many other animals. Hi, Nell. Thanks for the visit. I hope the introduction of Chester to Helen's habitat goes well, too. My pleasure, Alicia. I once wanted to be a marine biologist, but I failed biology lab in college, which killed that dream. I agree with you there. Thank you very much for the comment and the vote, Kristen. I love cetaceans, too. They are intelligent and fascinating animals. Alicia, this was a beautiful and sad hub. I love dolphins and porpoises and would love to swim with dolphins one day. Voted up for beautiful! Thank you for the great comment, Carolyn. Factory farming is indeed abhorrent. The way in which we treat animals is sometimes atrocious. I appreciate your visit, vote and share very much. Hi Alicia, I love this article! I am very sensitive to animal rights and treatment of animals, so I applaud any attempt to emphasize their intelligence and psychological, physical, and emotional needs. It's important to emphasize, as you did, that life in captivity is often severely lacking in these areas. I only wish more people recognized that our factory farming system is even more abhorrent and horrific than other kinds of animal captivity. But recognizing that all creatures are more like us than we give them credit for is the first start to demanding better treatment of animals. Thank you for a great hub on a remarkable animal :-) Upvoted and shared! Hi, Bill. Thanks for the comment. The decision about how to care for rescued animals is important. I hope Chester provides companionship for Helen, too. Hi Linda. This is certainly a controversial issue. I hate seeing wild creatures confined in zoos or aquariums but if they simply cannot survive in the wild I suppose it is the only option available. How sad for Helen that her companion Hanna is no longer with her. Hopefully Chester will provide some companionship for her. Great hub. Hi, Suhail. Thank you very much for the comment! I agree with you. The only reason that cetaceans should ever be kept in captivity is because they are unreleasable, and it's very important that these animals have a large and interesting habitat. Awesome hub! I enjoyed learning from your first hand account of this dolphin. I really am not sure whether we should have cetaceans in our aquariums. Yes, if an animal is unreleasable then perhaps they should stay in captivity, but in very large pools. The same goes for land based animals. Thank you for sharing a hub that is informative, interesting, and beautiful. I agree, Mel. Dolphins and whales should never be kept in captivity just to amuse us. They are wonderful animals with advanced brains. Thanks for the comment and for sharing your experience. The more I think about it, it is pretty callous to keep these creatures in captivity merely for our amusement. When I was in the Navy I used to see Pacific White Sided Dolphins following our ship. Way out at sea we would get dolphins, probably of various species, that would follow our ship just to play in the wake. They are beautiful and elegant creatures, and seem to have a fondness for humanity that should not be abused or taken advantage of. Great hub! Hi, drbj. I'm interested to see how the situation is resolved, too! I'll update the hub when I know the outcome of the meeting between Helen and Chester. Thanks for the comment. It will be interesting to see if the dolphin and the false killer whale tolerate each other. Your article is so interesting, Alicia, that I find myself wanting to know how this is all resolved. Thanks for the comment, Blossom. It is good that the animals are safe. I hope their lives improve, though. I hope that Helen and Chester get on, too. Hi, Jodah. I have the same concerns as you about Helen and Chester. Thanks for the visit and the vote. It's so lovely that there are places where these beautiful animals can live in safety when they would probably die if left to fend for themselves. Helen may be lonely now, but I hope that soon she will have her new playmate and that they will get on well together. I have never seen a Pacific White Sided Dolphin before, but they are beautiful creatures. I actually found this quite sad. I certainly hope that the future is good for Helen and that her and Chester get on, but he is a different species and much younger. I feel they should be in a much bigger tankwith more dolphins than just the two though. Voted up. Hi, Flourish. Thanks for the comment. I support the exploration of birth control and sea pens, too. Something needs to be done to improve the situation. So well written and with great empathy. I am glad the park has made strides in not capturing them since 1996 and instead becoming more of a refuge. It doesn't seem like there's any any answer. I support sea pens and birth control for captive animals as I worry about adding to the dilemma. Thank you very much for the comment, Pollyanna. Yes, releasing a rescued animal into the wild could very well be a death sentence. I think that when we rescue animals and decide that they can't be released, we need to give them as good a life as possible. That's an area that needs to be improved in many facilities and institutions. Thank you, Rachel. I appreciate your comment and your votes a great deal. Blessings to you as well. Hi Alicia, I love to watch dolphins and whales. So sad about Hanna but Helen and Chester are a delight. I could have watched that first video of the dolphins swimming all day. It's so relaxing and entertaining to watch. Thanks for sharing and all the work put into this hub. I voted up, awesome and beautiful. Thanks, Larry. I'm very sorry about the loss of Hanna, too. Great hub. I love dolphins. A shame about Hanna. Hi, Bill. Captivity of animals is certainly an unpleasant and controversial situation. Thank you for the comment. I just don't like the whole captivity thing, Linda. I know people love zoos and aquariums, but I find them harmful and unnecessary. I guess I'm too much of an animal-person. Thanks for raising awareness...great article. Thank you very much for such a kind comment, Buildreps. I appreciate your visit! This Hub is a masterpiece, well observed and researched. I read it with great interest! Thanks. Thank you very much for the comment, votes and shares, Faith! Yes, the aquarium did try hard to save Hanna. They brought in experts in different fields to treat her. It's sad that all the efforts failed. 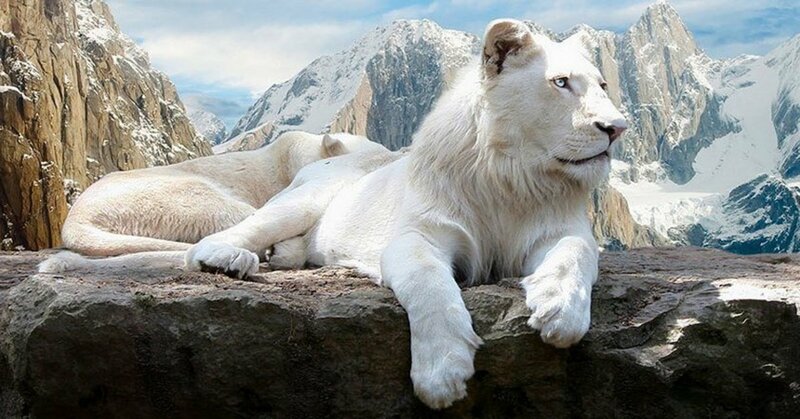 Such beautiful creatures. Thank you for taking us along to the Aquarium. How sad about dear Hanna. It sounds like they tried everything they knew and with the best of the best helping. I do hope the renovations finish up soon for all concerned. When you were describing the repetitive behavior, it truly made me sad for those in captivity, as it is just not natural and they should be free. This should be HOTD. Excellent hub as always.